I love everything by Sue Spargo. She has such a charming, quirky style. All of her charm shines through in her newest book – Fresh Cut. 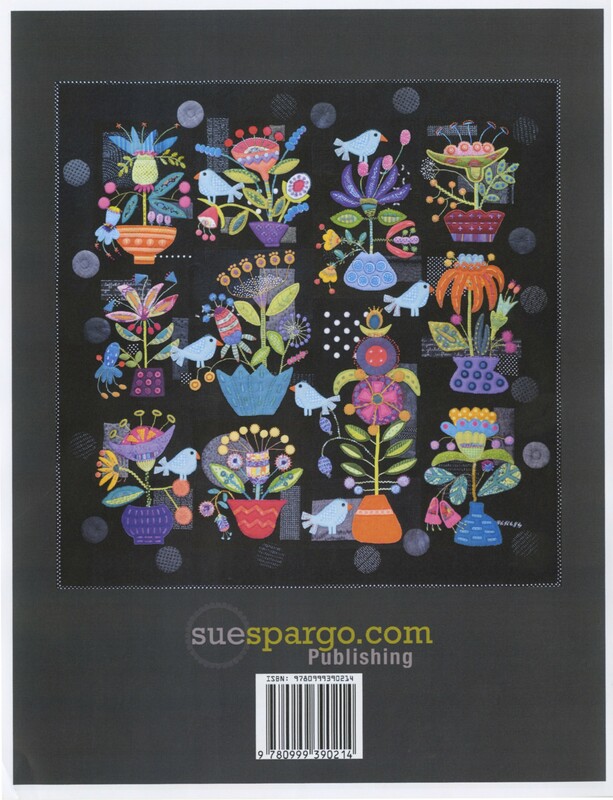 Check out our website to see all things Sue Spargo! Did you know she has ribbons, a calendar, and individual patterns as well as books? Thanks to a Quilter’s Corner, I no longer have to buy spray bottles based on the nozzle! They have created a spray bottle that can be used for liquid starches – including my favorite, Best Press! This is engineered to provide a more even, continuous spray and coverage every time. These bottles hold a minimum of 10 ounces and come in a 12 pack display with three different labels – which makes it a perfect gift! These are selling fast – more will be arriving any day so order now! This is the third in a series of books by Little Red Hen which features mini quilts. The book includes instructions for six minis – many have wool and embroidery accents. Use them to add a charming vignette to any room or group them on a wall. What fun and satisfying projects! I am a huge fan of Sue Spargo. She has such an amazing, quirky and recognizable style. Last year her calendar was a top seller and many of you framed the images – they were that good! Poppins Bag could hold Mary! I have seen the actual bag – and couldn’t believe how big it is. It literally will hold a queen size quilt AFTER quilting! It is a great weekender bag, a retreat bag, a beach bag (with enough room for towels, sunscreen, and books for the entire family) or anything you want! The pattern comes with structural stays so the top pops open – and stays open until you want to close it! The sides of the bag are stabilized with In-R-Form so it will maintain its shape. It uses a 30″ zipper By Annie which comes in a multitude of colors and has two zipper pulls. Carol uses a placemat to stabilize the base – which is 12″ x 18″. 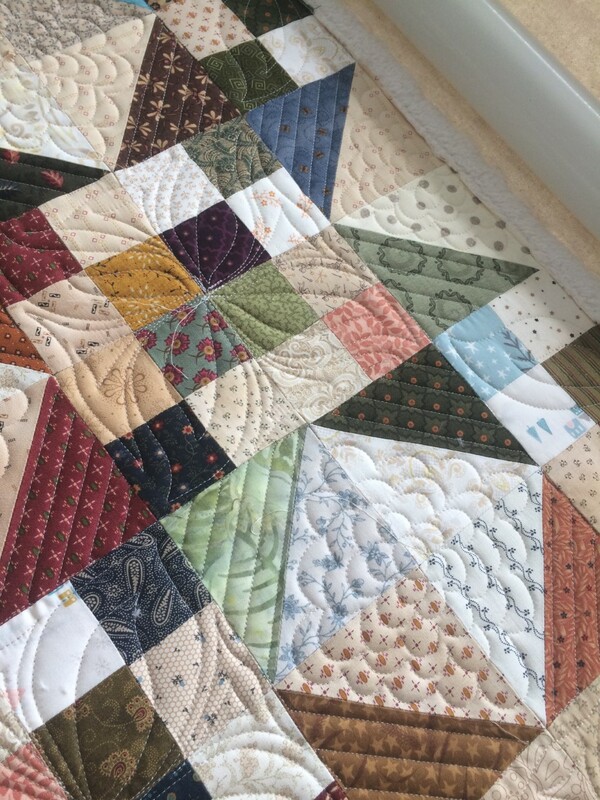 Start with quilted fabric or quilt your own – which is another great class. 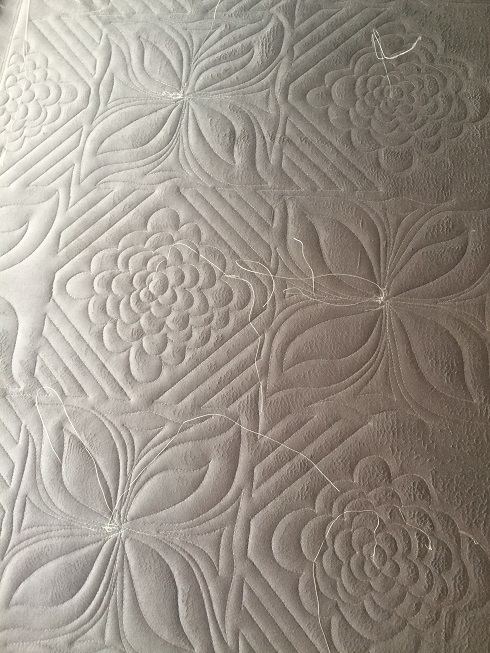 This was quilted in straight lines – a great use for the Creative Grids Slim quilting tool designed by Angela Walters. I talked to several people who have made the bag and many said that it went together so easy that they were making more! Now that is a testament to a great bag! My daughter just started a long arm business and ordered Spa Cuddle without realizing it was double-sided. The bolt she bought was grey on one side and cream on the other. Since it had nap on both sides, I asked her to try it without batting. Worked like a charm! It comes in a wide variety of colors and is 58 – 60 inches wide so most backings for throws will not have to be pieced! Talk about a win/win and it is cheaper than piecing 44/45 wide fabrics and then buying batting. Who can resist Cuddle??? Check out all of the Shannon Fabrics Cuddle Spa on the website and give it a try!